Published in 2013 and written by American author Chris Snider. 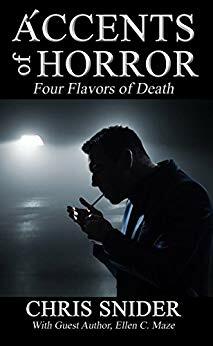 A collection of four short horrific stories to read one a night before falling asleep... if you can. The three first stories were written by C. Snider and the fourth was written by guest writer Ellen C. Maze. Each tale depicts an abominable encounter with death and by being trapped in a web of sinister events characters fiercely struggle to stay alive. After being laid off from work Danny Miller arrived home earlier than usual, just in time to discover his dearly wife Connie lying in bed with this gorgeous teenage boy who regularly comes over to cut the grass. Acute disappointment and pain led Danny to divorce, and after paperwork was over Danny started being haunted by a hideous faceless man in his sleep. Nightmares became more and more terrifying until he was made to confront the truth of his acts. 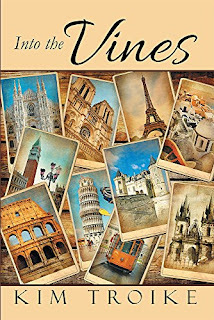 Published in 2017 and written by American author Renée Y. Lewis. Lucas Coles is an IT technologist and programmer working for Colby Designs, but also an Internet money launderer working for the Gennaro Family. After a short period of illigaly withdrawing money from Colby Designs' customers' accounts he was finally caught and fired. Being kicked out of the company drove Lucas completly mad, and blinded by rage he went on a rampage one day and shot everyone on his path. Not quite so romantic biginning for a love story, uh? Well... from my point of view that's precisely the most exciting part of the entire book. But.... hold your horses, this is not exactly what the book's about. This is merely the intro, prior of how Eve and detective Michael McGarrett set their eyes on each other and all the affaire began. 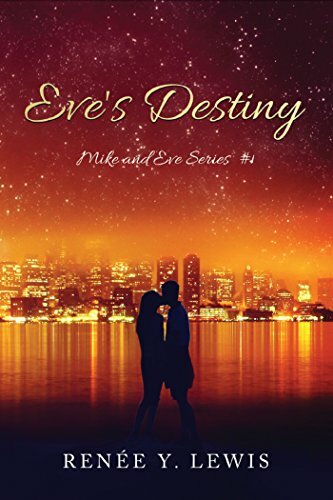 Now, let's take a look at Eve and Mike's story: Leaving everything behind in her native San Francisco Eve needed some company to help her get acquainted with her new surroundings in New York city. Circumstances then brought them together; it was love at first sight for both of them and a very loving and passionate relationship surprised them dearly. 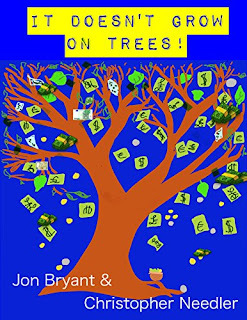 Published in 2016 and written by English authors Jon Bryant & Christopher Needler. Have you ever wondered how people used to trade their goods in the past when there was no money to do so? What kind of currency did they have 2,650 years ago? If you're between 7 and 12 (or rather a parent of one) you might be interested in having a peek from the past on this matter and getting to know some useful tips to manage your money wisely. This book will expose in easy terms how to make the best of your allowance from a young age, thus acquiring better benefits when you grow older. In this compendium you will find some background about money that shows how humanity went from exchanging heavy coins to plastic cards and virtual transactions. It also presents a clear description of how the whole thing started through numerous images and links to Youtube videos that offer farther explanations on the topic. Published in 2016 and written by Canadian author K.M. Breakey. On one side there is Johnny, a Canadian hockey player with a promising career, friends and fame. 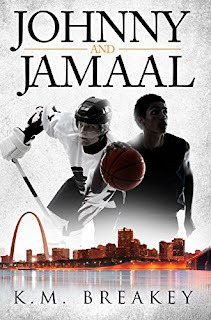 On the other side there is Jammal, an American basketball player with great performances on the field and big dreams. Destiny got them to meet in one historic day but... the moment wasn't the right one, light turned into darkness and the inconceivable takes place. Provoked by unfairness and aggravated by racial issues, differences between the two proved to be stronger than reasoning. Meanwhile, Luke (Johnny's best friend) hangs out with Chantal, a fervent follower of BLM (Black Lives Matter) movement, they both learn about the outrageous event between the two players which raise concerns for their own relationship. Tragedy fosters them to rethink their premises and reevaluate their positions toward racial discrepancies. Wilbur Rufus Holmes, a guy with a futuristic view of life and an interesting strategy to tackle human frictions, brings up a novel alternative that may lead humanity to racial peace. His thoughts would quickly prompt all kinds of reactions, bringing understanding to some and fear and rage to others. Published in 2012 and written by Romanian author Carmen Stefanescu. Anne, a young businesswoman living in 1990, has recently made up her mind on giving her ex-fiancé another chance after a two-year separation. For this purpose they went on a holiday trip together to try to spice things up. They took a walk around the forest and a few hours later they realized they were lost. Going around in circles they came across with a skull hidden in a hollow tree containing a gem encrusted cross. The sight evokes a vision in Anne who could see a past scene of two women dressed in nun robes. Anne felt uncomfortable in the presence of the oldest woman but could sense the desperation coming from the younger one. Visions tormented Anne during the whole journey, she kept dreaming of the young nun begging for her help and guiding her to follow the clues she had left for Anne to figure out their meaning; being the cross one of them. Published in 2016 and written by American author J.D. Bretton. Danielle is looking forward to her next vacation as she plans to spend some quality time with her husband Matt, and renew their relationship that has recently passed through the sad experience of loosing their unborn baby. All she wants to do is to get over it and pull herself back together again; however the process has proven to be excessively hard to be achieved. As the last straw, an unexpected incident added more salt to her wound when they attend a friend's party just to come across another couple who is celebrating their first pregnancy. Pain turns out to be too much for Danielle to cope with so she soon breaks down and leaves the party, heartbroken. Published in 2016 and written by Brittish author Tilep Mathan. People have different views of what happiness is, and everybody is struggling one way or another to accomplish their goals and live out their dreams to the fullest. We're all quite familiar with this idea, but... how many people actually know how to take their wishes from dreams to reality? Well, this booklet offers just that! 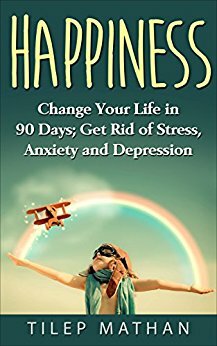 Know how to achieve blissfulness and freedom following some simple tips that will guide you step by step in the always elusive way to Happiness. This book will explain in simple words what is holding you back, what habits you must get rid off and what changes you should make in your daily routine so you get closer and closer to your target. All you need to do is focus and be persistent. Not to wonder, as in many aspects in life, discipline is the key of success. How do you usually live your life? Are you constantly worrying about the future or regreting something you did (or didn't do) in the past? Well... it's time for you to pay more attention to your present, to the options you have at hand today; this reading will show you how. Just keep reading, reflecting upon it and apply all concepts in order to build up a new ritual that will take you to happiness. Published in 2016 and written by American author Peter Presley. Abby Fork, an only child brought up with good principles, willing to get her independence, decided to leave home and survive by herself. Her parents helped her with some money that she used up, including all her savings, to set up a bar and make a living out of it, but … things did not turn out as she expected and now she strives to keep it open since debts lurk and threaten to close the business. Not only that but her unhealthy habit of getting involved with bad boys who frequently attend her bar make her into trouble pretty often. Colton Lang, an only child as well who struggled against poverty after his father passed away when he was only ten, had to drop school at an early age. Circumstances led him into the streets where he met boys who sold crack, therefore he quickly became a member of the gang. He grew up a very handsome type whose physical attributes got him any girl he wanted. He later left home and emerged as a wealthy man by making some illegal stuff. Published in 2016 and written by Belgian writer Helene Andrea Leuschel. Manipulated Lives is a compilation of five stories of five different people playing either the manipulator or the victim roles and the consequences that come along with them. Each narrative portraits a very frequent and devastating episode in which a self-centered subject takes advantage of a weaker one who doesn’t know how to handle a certain situation or is simply trapped in a precarious position that won’t let them react accordingly. Accurately these novellas are true examples of what really happens in everyday life, and some of which we will be always dealing with. 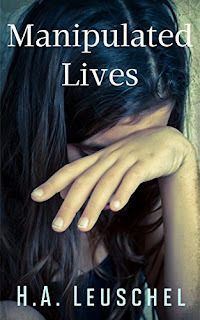 Published in 2015 and written by American author Kim Troike. While driving on the road Daniela got to witness a terrible accident, she quickly pulled the passenger from the vehicle but wasn’t that lucky when she attempted to save the driver. This event will change Francis’ life forever. 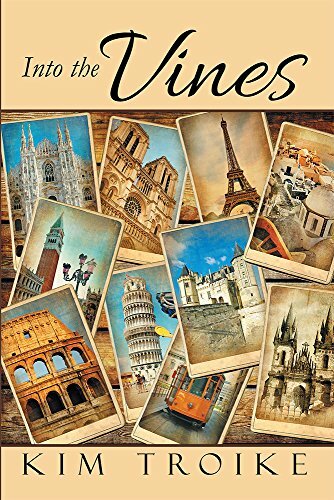 Sometime later she gets enrolled in a cooking school in France, there she has the chance to meet handsome Olivier who owns the grape vines where the school is located. In her class she also gets acquainted with Brie; a 40-year-old woman who’s trying to get the best of the experience by learning the French cuisine. Shortly after Daniela and Olivier start going out and a new attraction arises between them. Olivier shows her around town and they promise to keep in touch after the course is over and she have to go back to the US where she’s from. But… things were not as simple as they planned and tragedy strikes on both sides.